Faith Bass Darling has lived in her family's home her entire 70 years. She is the richest person in the town (which was named after her Bass ancestors) and definitely one of the most eccentric. Although she's suffering from early dementia and hasn't prayed in decades, she knows that if God speaks to her directly, she'd better listen. Lynda Rutledge's debut novel, Faith Bass Darling's Last Garage Sale, tells us what happens next. On the last day of the millennium, sassy Faith Bass Darling decides to have a garage sale. Why is the richest lady in Bass, Texas, a recluse for twenty years, suddenly selling off her worldly possessions? As the townspeople grab up the heirlooms, and the antiques reveal their own secret stories, a cast of characters appears to witness the sale or try to stop it. Before the day is over, they’ll all examine their roles in the Bass family saga, as well as some of life’s most imponderable questions: Do our possessions possess us? What are we without our memories? Is there life after death or second chances here on earth? And is Faith really selling that Tiffany lamp for $1? At first glance, Faith Bass Darling's Last Garage Sale seems as if will be a quick Southern story populated with quirky characters, but the novel has unexpected complexities. Faith loves antiques and was lucky enough to have the money to feed her habit, but beneath her perfect home and privileged existence are heartache, resentment, and unfinished business. The entire plot unfolds over a 24-hour period, beginning on December 31, 1999, when Faith hears the voice of God telling her she will die before the start of the new millennium and ending at almost the stroke of midnight. Is Faith really about to die, and if so is this to be physical death or a mental death? Or perhaps her desire to empty the house of all its goods for "whatever you can pay" is simply a sign of her worsening Alzheimer's. As her possessions find new homes and new lives, Faith revisits her past, thinking of her family and struggling to remember herself. Although the novel is colored by sad moments and the seriousness of deeper issues--dementia, family conflict, spiritual faith--Rutledge manages to avoid being maudlin by including well-placed spots of comic relief. 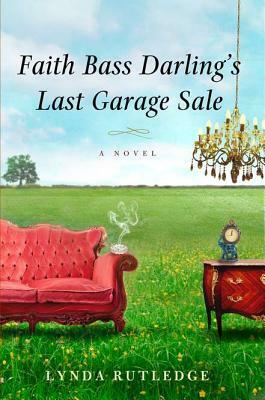 Faith Bass Darling's Last Garage Sale is the type of book that makes you assess your life and the people around you. It prompts you consider the purpose of holding grudges, the need for forgiveness, the difference between remembering and not letting go, and the desire to accumulate material goods. You'll also think about what makes life worth living and the effects of Alzheimer's disease, especially when it comes too early. Kathy from Bermuda Onion's Weblog: "On the surface, it's a fairly light read but there’s a lot below the surface. I've had this book on my mind since I finished it and I really like the subtle way Rutledge deals with tough issues." 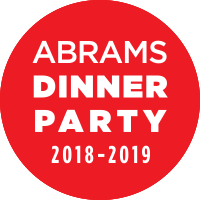 Heather from Raging Bibliomania: "It's an odd thing to be smiling through eyes bleary with tears, but this was what often happened while I was reading this book. If you're a reader with a love of finely honed literary novels, this is the book I would recommend to you. It is strikingly forceful yet oddly gentle, and I recommend it highly." Kristen at BookNAround: "Told from multiple perspectives, the story reveals itself slowly, creating a perfect narrative tension. Both addled but still strong and imposing Faith and self-focused for her own emotional protection Claudia Jean are sympathetic characters and the reader roots for them both even when they seem to be at cross-purposes." Faith Bass Darling's Last Garage Sale is an Indie Next pick for May 2012. For more on author Lynda Rutledge, visit her blog and read an interview with her at The Reading Frenzy. It did look like a light little book, but I am intrigued by reports of hidden depths.. 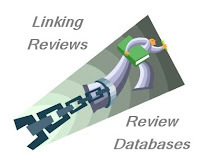 Thanks for linking to my review! I thought this book was fabulous!! its a good thing my iPad Nook app seems to hold an endless about of reading .. adding this .. thank you! This book sounds captivating and not the light read I thought it was when I first read the title. I like the combination of serious deep issues with lightness, humore and comic relief since that's what real life is like. Thank you for posting about this book! I'm so glad to see you liked this, can't wait to finally get a copy so I can give it a try. This seems like it could be an interesting mystery read. Thank you for sharing. I have this book and can't wait to read it, thanks for the great review.